Purchasing Strategies Part 2: Is Target Price a Good Substitute for Piece-Price? Practical experience (order fulfillment shortfalls) led Original Equipment Manufacturers (OEMs) to understand that piece-price was not a good indicator of supplier efficiency or business health. Consequently, they looked for an alternate approach to making sourcing decisions. 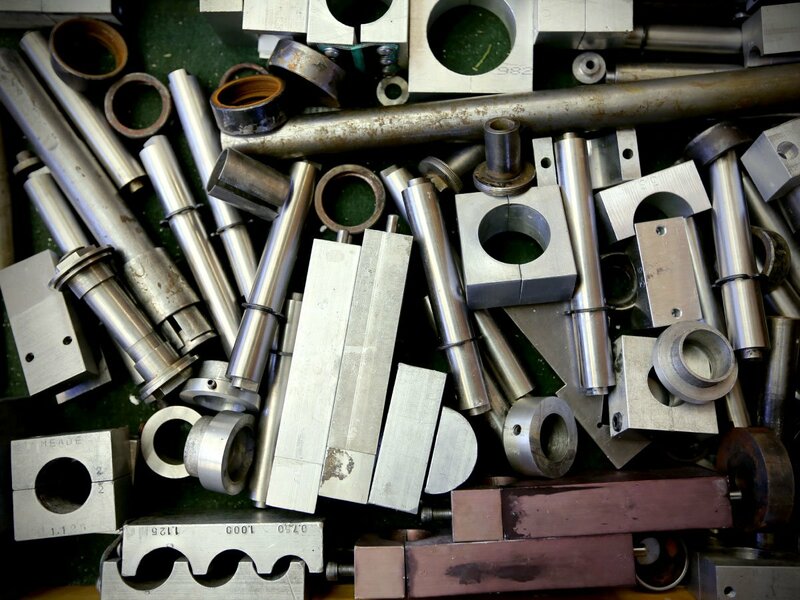 Remember, the goal of a good sourcing strategy is to be able to determine both the competitiveness of a machine shop’s operational effectiveness and understand their ongoing sustainability. Cost Management — a strategy for doing just that — came out of academia in the 1990s and remains the preferred basis today for OEM sourcing decisions. Academics will tell you that theoretically, a Cost Management strategy will result in good sourcing decisions. In practice, as with so many processes hatched up in academia, not so much. Here’s why. As more and more OEMs rolled out this approach, suppliers started pushing back. The extra work needed to put together quote proposals was significant. The requested Cost Management data elements added to supplier overheads, which is not exactly a thing customers who want lower prices should want to do. And, the data each individual OEM customer was asking for was at least a little different, adding to the overall complexity of the supplier task. Additionally, many suppliers felt like the information being asked for was none of their customers’ business. In the old days, we used to refer to Cost Management data requests as pushing suppliers to “open up their kimonos” which, when you think about it, is a pretty good way to express what they were being asked to do — at least business-wise. Regardless of how you put it, most suppliers felt the Cost Management quote requests were both intrusive and potentially threatening. OEMs, however, held the line and did not accept supplier bids that didn’t include the information they needed for their Cost Management analysis. The end result was that most supplier manufacturers ended up toeing the line. But they weren’t happy. Initially, OEMs did use Cost Management as the academics proposed — mainly to confirm that the supplier costs behind the quoted piece-price would indicate sustainable pricing and healthy supplier operations. For instance, since OEMs could now compare Cost Management data between competing quotes they would know not only whether a supplier’s piece-price proposal was competitive, but also which suppliers were most — and least — competitive in the various cost driver areas. With this knowledge it shouldn’t be surprising that it didn’t take long for OEMs to realize that they could use the Cost Management data for other purposes. Target pricing is something suppliers have heard about for many decades. Traditionally, a part’s target price is set based on what an OEM feels they need to buy a part at so, in the end, they will have a competitive finished product for the marketplace. Having the cost driver information, however, gave OEMs a whole new way for defining this term. Now, because OEMs would understand which supplier was the most competitive across the entire spectrum of cost drivers, they reasoned that target pricing could be used as a way to leverage suppliers on prices. Consider the following example, with cost driver quantification (from the OEM’s piece-price perspective) being rated either: Best, Middling or Worst. Another way of putting this is that OEMs now want the most successful supplier to be the most competitive in all factors related to cost. While I guess this sounds good in theory, it is unrealistic, and sometimes impossible (except for the rare case) from a practical perspective. A North Star Goal of mine has been to always look for the middle ground as a way of resolving the conflict. At the time Cost Management was coming onto the scene, I was involved in constructing a new Supplier Development strategy for my employer — an S&P 100 corporation — and posited that the additional quote information could be the driver of a.) Which suppliers were selected for development, and b.) Which cost driver areas a Supplier Development team should focus on at a particular supplier. My thinking was that supplier resistance to Cost Management would go way down once they understood that OEMs were doing more than using it for another way to squeeze lower prices out of them. My proposal fell on deaf ears. Hmmm. The revised OEM approach to target costing sealed the fate of Cost Management as far as suppliers were concerned. They understood that target prices based on the best Cost Management elements across all quoting suppliers provided did not reflect reality. Consequently, they adjusted how they filled out the information they were being asked for. Over the years I have literally heard from hundreds of suppliers that, “We let the OEM think they are getting actual data but the cost driver data we provide is only aimed at making our quote be seen in the most favorable light.” In effect, they are gaming the Cost Management system. The total outcome of a Cost Management-based sourcing strategy is a study in absurdity. OEMs over-extended the intent of the academic approach to define artificial target price figures. Suppliers reacted by supplying misleading cost driver info — with the end result that the only real information OEMs end up with is the originally quoted piece-price. Which is what they had anyway before the whole cost management initiative surfaced. So, after adding all of this complexity and cost, OEMs are where they started out —without a accurate indicator of a supplier’s manufacturing effectiveness and/or business health. But that’s not the end of the story. The process of target pricing has become a great example of how to needlessly drive soft costs up. As previously mentioned, supplier costs went up to support the need for more information. The additional effort is required even if the information isn’t accurate since the backup information must at least “make sense” to an OEM’s Cost Management evaluator. OEMs needed to create Cost Management organizations to analyze the information, which then increased their overall sourcing costs. To put the icing on the cake, much Cost Management analysis is now based on faux data, and Cost Management analysts are now spending their time analyzing data that isn’t representative of reality. Overall, this means that a Cost Management-based sourcing strategy either drives the wrong sourcing decisions or, at best, has no effect on sourcing decisions. It certainly doesn’t improve them. So, if Cost Management-based target prices aren’t the answer to ensuring competitive pricing and indicating supplier efficiency, what is? That will be the topic of my next column. Learn more about Paul Ericksen and his over 40 years of experience in the manufacturing industry here.